Vote! And Thank You Judith Winsor Smith. streamed past in a row. Poem to Judith Winsor Smith on her 90th birthday by Alice Stone Blackwell. As I sit at the Wright Building today I can see the traffic congestion caused by voters navigating their way into a parking spot at Duxbury Middle School [in 2018 the voting location has moved across the street, and is very active]. I am happy to see so many of my fellow townsfolk coming out to exercise their right to cast a ballot. Universal suffrage was not always the case in this country and there were many who came before us who had to struggle for what we are sometimes so blasé about today. One such person was Judith Winsor Smith. Smith was a Duxbury woman who fought along side Susan B. Anthony and Elizabeth Cady Stanton but, unlike them, lived to see the day when all women could vote – and did so herself at age 99. 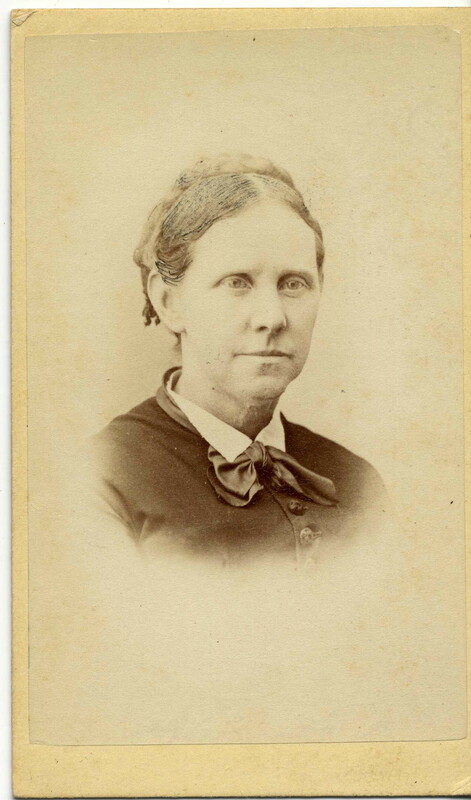 Judith Winsor (McLauthlin) Smith was born in Marshfield, MA in 1821. Her father, Lewis McLauthlin, was the groundskeeper for the shipbuilder Ezra “King Caesar” Weston and her mother, Polly, was the daughter of the Duxbury portrait painter/doctor, Rufus Hathaway. Judith moved to Duxbury as a young teacher, boarding in the home of Maj. Judah Alden. She married Sylvanus Smith in 1841 and spent her early married life here. The couple later moved to East Boston where there were more opportunities for shipbuilders such as Sylvanus. Much later, as an elderly widow, Judith moved to Jamaica Plain to live with her daughter, Zilpha Drew Smith. Smith was a true 19th century reformer. She was an abolitionist as well as a member of the Standing Committee of Theodore Parker’s society. But it was in the fight for votes for women that she labored the longest. She was the president for many years of the East Boston Woman Suffrage League and a member of the executive committee of the Massachusetts, New England and American Suffrage Associations. At the age of 92 she addressed a crowd gathered together in Post Office Square by the Boston Equal Suffrage Association. The following year she marched in Boston with Alice Stone Blackwell and Ellen Wright Garrison. Finally, in 1920 she was able to cast her first ballot. She died the next year at age 100. So, today as you are getting out there and rocking the vote, take a moment to thank all those that made it possible, including Judith Winsor Smith. This entry was posted in Uncategorized and tagged Duxbury, Judith Winsor Smith, nineteenth amendment, suffragette, suffragists, vote, Zilpha Drew Smith. Bookmark the permalink.